The Institute was established on November 1, 1960 under the ‘Open Door’ policy of the Government of India, by the Maharaja Jiwajirao Education Society, Vidisha with a donation from the Gangajali Trust Fund of the Scindias, erstwhile rulers of the Gwalior state and commitment of non-recurring and recurring grants from the Government of India and the Government of Madhya Pradesh in agreed proportions. However, the Government of Madhya Pradesh had undertaken to meet the entire non-recurring and recurring deficit of the Institute budget for approved programs after the first five years of establishment of the Institute. 4.Student Misc. Activities Amalgamated Fund & Prospectus Fees. Placements : The section serves as a source of employment information to students through its Library and Reading Room. It arranges vocational industrial training and campus interviews for students. The number of firms and organizations conducting campus interviews in the Institute has been steadily increasing over the last few years and a large number of students are getting good job offers before they pass out. The Section also arranges for Personality Development and other Programmes with the help of experienced managers and executives from the field to improve the performance of students in interviews and group discussions. Some of the firms who visited the Institute for Campus Interviews / recruited our students. Campus: The Institute was established on November 1, 1960 under the ‘Open Door’ policy of the Government of India, by the Maharaja Jiwajirao Education Society, Vidisha with a donation from the Gangajali Trust Fund of the Scindias, erstwhile rulers of the Gwalior state and commitment of non-recurring and recurring grants from the Government of India and the Government of Madhya Pradesh in agreed proportions. However, the Government of Madhya Pradesh had undertaken to meet the entire non-recurring and recurring deficit of the Institute budget for approved programs after the first five years of establishment of the Institute. The Institute started with a total intake of 120 students per year in the three major disciplines of engineering, namely, Civil, Mechanical and Electrical Engineering. It was affiliated to the Vikram University Ujjain to which the three other colleges in the region, namely, MACT Bhopal, SGSITS Indore and MITS Gwalior were affiliated at that time. 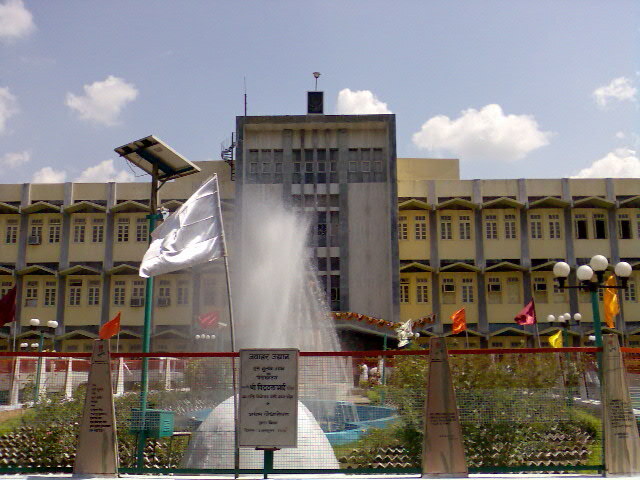 After the creation of the Bhopal University at Bhopal, now renamed Barkatullah Vishwavidyalaya, the Institute was affiliated to it along with MACT Bhopal. Hostel: Institute has Four Boys Hostels ,having a total capacity of 325 and two Girls Hostels of 90 & 50 seats . The Hostels are well equipped with adequate furniture and other living facilities like Aqua guard water purifying system and solar water heating system, geyser facility . Each hostel is having good facility for recreation like indoor games hall , reading room and Television room. Each hostel is having its own Power Generation set ,in the event of the power failure from the M.P. electricity board so that the students may not be put to difficulty. The inmates of the hostel live in a congenial and healthy atmosphere and abide by the rules to maintain strict discipline. The mess of each hostel is run by students of the hostels under the guidance of respective Wardens.